Ramp ready? That and lot more, thanks to Tresemme. 2005. Yes that was the year. The last time I remember people complimenting my hair. It has been a long long time. I have always been known for my long black hair in school. For a dusky woman it is her hair or then nothing else which can help distract people from her complexion. Well, why am I ranting about such random things? There is a reason. For long I have been wondering what can be the one stop, one shop thing to do which can help turn the clock back. Now with a 9 to 5 job and a 6 to 6 husband life has gone from one tragedy to another. And the one things that has born the testimony to the struggles are of course my hair. They stand their as witness to the tough times I toiled through. I scream to them that I dont need their testimony that I am okay without people’s pity for my life. But they feel its their duty to do so. So it must be. I was quite worked up over their state. I had gone from one treatment to another. For a week they camourflaged their pain and then they were back again. Looking their pitiful self, crying broken hair and tattered split ends to explain the conflict inside. I again begged them to hide, to heal their wounds but boy they didnt listen. The pain was deep I guess. But then I knew like a good caretaker they need care. And so like a good caretaker I began doing that. 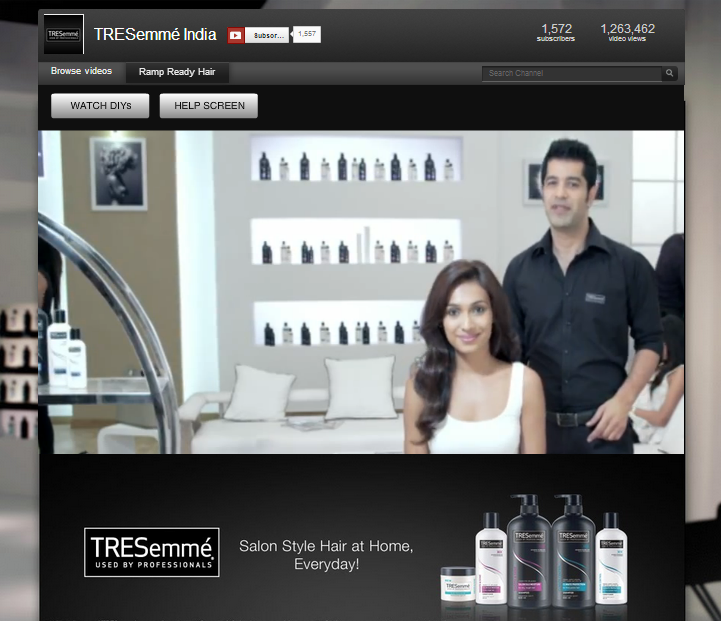 I had been continuously watching ads on TV about this new range of hair products that had hit Indian markets. Constantly explaining that they were the best in the Salon products and recommended all over the world. My present shampoo is a rather expensive one so I knew I could switch to another international brand. Zyaada se zyaada it would be a bit more in cost. Cost had long gone been a factor for me. So it was decided. Tresemme will be bought next time round. But then I know how much time and energy I face when going to buy my present “international” brand shampoo and so an agenda has to be set to buy Tresemme as well. But God loves me, I know I am often his favourite child and soon I got an opportunity to get the product delivered to my house. And we got the shampoo+conditioner pack of dear little Tresemme. Only one wash, just one wash and my hair began to feel better already. I thought perhaps its a trick poor mind is playing to pacify the hurt hair. And the effects of shampoo were quickly dismissed from consciousness. Again after second wash, hair began to feel happier about themselves. This time round too mind dismissed the thought as a trick, but its when others at office began to compliment that one had to slightly believe. But then in the past I have known to use various products which only worked for a while and then let the hair go down the self pity road again. So hopes were extinguished and the hair was allowed to feel happy for a while. It was after the fifth wash and two parties that the confidence began to get build up. Now the heart got convinced that the remedy was permanent. But of course the final verdict lies with husband dearest. “Hair have started to look better, is it the free sample you got?” he asked. “Great. Now we have to spend extra few bucks on your hair again. And also run a few extra miles trying to locate the store which sells it,” he of course couldn’t hold back the sarcasm. “The price is half of the shampoo I used to use. So if some petrol is spent it may compensate in less cost,” I retorted. That evening we went to do some grocery shopping. And it was right next to the dal section of my local general store that I saw it. 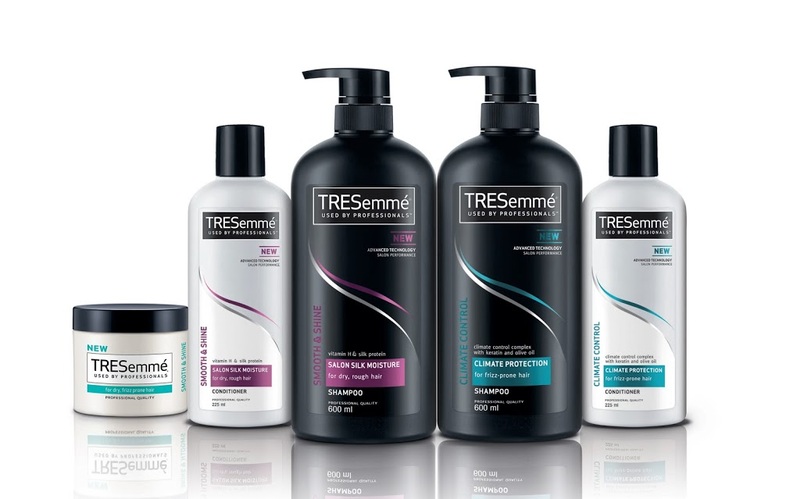 Right there a few blocks from my house in the market, I found Tresemme! “Look here,” I called out to husband dearest. “No more driving around for your shampoo now? Has this company been started by a few husbands?” he spoke half laughingly. What is ramp ready? For most of us, our homes, offices, small parties, visiting in laws and sometimes even our own personal mirrors denote the ramps of our lives. In the zip zap zoom of life we miss out on the readiness on the these ramps, but they never walk away from our minds. They remain like unrelinquished dreams, like paths we wanted to take but had cooking, cleaning and sometimes bickering with husband to complete and somewhere lost way. I thank Tresemme for making this path ever so smooth. Its the most heartfelt and hairfelt. I can now walk by and pick up my shampoo and conditioner and with the extra money I have saved purchase a facepack! The husband need not be appeased for a drive around and on top of that the new found beauty can be used to trick him into some useful shopping. So woman, ramp ready is not only for Victoria Secret models or the hot skinny bods on TV. It is for you and me. To be ready to take on the world we live in style and beauty and to remind them that the men and women of today dont need a ramp to be ready. Its because they are ready that the ramp gets created!! Photocredits: Tresemme sites and youtube channel. nice post !! BOL for the contest !! Yes in India everyone wants a “fair” bride. Great post! Good luck with the contest!